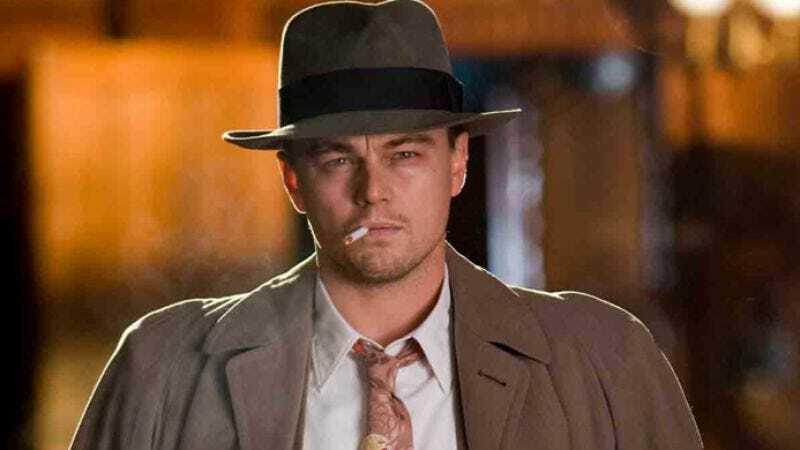 Leonardo DiCaprio may play Alan Turing for Warner Bros.
Another day, another report of Warner Bros. purchasing a script for Leonardo DiCaprio that will place him in midcentury surroundings. (“You just look so handsome in your narrow ties and with your hair all slicked back,” Warner Bros. says to DiCaprio. “Now go stand by that Eames chair for mama.”) Having most recently purchased the post-WWII novel Satori for him, which follows Clint Eastwood’s upcoming J. Edgar, Warner Bros. has reportedly shelled out seven figures for The Imitation Game, about English mathematician and father of computer science Alan Turing, a role which DiCaprio “has the inside track” to play. The biopic covers Turing’s rise to prominence cracking Engima codes during the war, followed by his work developing early computing systems and theories on artificial intelligence. And of course, he also came up with the still-applicable Turing test, which determines whether a computer can be said to “think” if its contributions are indistinguishable from those of a human, and if it can come up with new ways to get Leonardo DiCaprio in a nice suit and maybe a fedora. Ron Howard is said to be interested in directing (“Because remember when Ron Howard made movies like A Beautiful Mind and not The Dilemma?” Ron Howard asks), which only adds to the potential Oscar bait. After all, Deadline reminds us, behind the number-crunching Turing was also a “tortured soul”—quite literally, as Turing was prosecuted, tormented, and eventually subjected to chemical castration by the British government for being a homosexual, a persecution that eventually led him to commit suicide by eating a cyanide-laced poison apple. So between this and J. Edgar, add “powerful, secret homosexuals” to the roles that Warner Bros. likes to see DiCaprio in, and make of that what you will.